The director of Star Wars: The Force Awakens, J.J. Abrams, recently made headlines when he suggested that gay characters would be included in future chapters of the Star Wars movies. Fans immediately began discussing how that might happen. Would new characters be introduced, or might existing characters that we’ve already met be gay? What if it turned out to be a character that we’ve known for a long time? 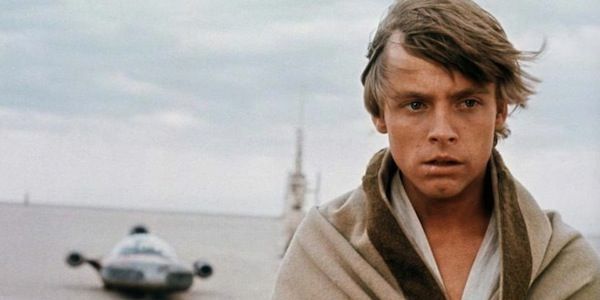 Mark Hamill doesn’t have a problem with the idea of Luke Skywalker being gay. The actor recently told The Sun that he feels his character’s sexuality is open to interpretation, and shouldn’t impact how Luke Skywalker is viewed. I just read online that JJ is very much open to that. In the old days, you would get fan mail. But now fans are writing and asking all these questions: ‘I’m bullied in school … I’m afraid to come out.’ They say to me: ‘Could Luke be gay?’ I’d say it is meant to be interpreted by the viewer. If you think Luke is gay, of course he is. You should not be ashamed of it. Judge Luke by his character, not by who he loves. It’s difficult enough for young gay people dealing with their own sexuality in a world that is only getting slowly better at accepting them. Seeing that Mark Hamill is happy to help them, in what little way he can, is a nice gesture. He seems to like the ambiguous nature of Luke’s character. If anything, the only downside of having Luke Skywalker come out as gay would be that it would answer the question definitively. While Luke Skywalker was a vital character in the original Star Wars trilogy, his sexuality was never exactly a question. The only significant romance in the films is between Han Solo and Princess Leia. The only onscreen kiss Luke has in the series is when Leia kisses him in The Empire Strikes Back. While that moment now has a certain amount of infamy, due to the eventual reveal of their familial relationship, the kiss isn’t really romantic to begin with. While Luke falls in love with, and gets married to, a woman, in the novels that follow the films, Lucasfilm and Disney have officially declared that those books are no longer part of the canonical story. When J.J. Abrams made his comments about gay characters in Star Wars, most fans immediately thought of Finn and Poe Dameron, two of the characters that were introduced in Star Wars: The Force Awakens. The two build a very fast friendship over the course of the film that many fans have taken to possibly be the beginning of a homosexual relationship. While many built up the relationship as a bit of internet fun, the fact that we now expect to see gay characters in the Star Wars galaxy means that it may not have been a joke after all.